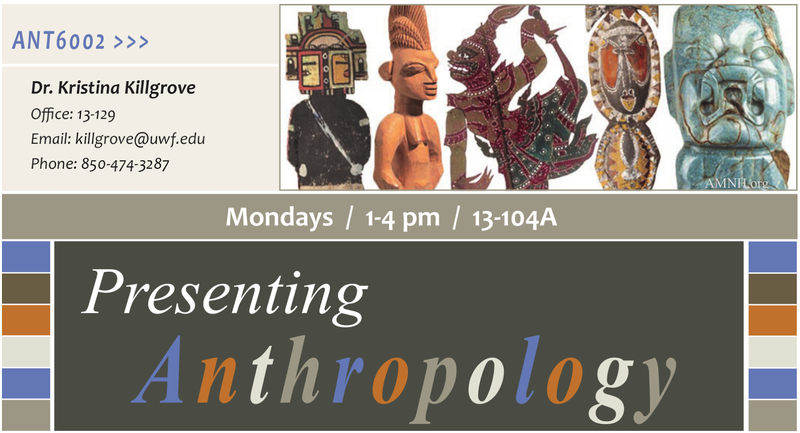 After a week's vacation for MLK Day here, we're gearing up for another week of Presenting Anthropology. The topic for this two-week unit is Social Media. All of the students in the class are on one form of social media or another (mostly Facebook, which is semi-private), but I'll be getting them to think about ways to use social media to convey anthropology, and their first project/challenge is to keep up a social media outreach program for the semester through a blog, Twitter, tumblr, etc., which I'll post links to next week. Here are the readings and links I've assigned for this unit. 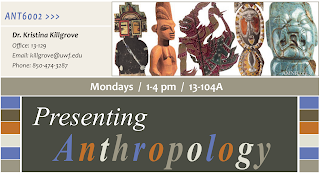 Feel free to follow along with the students' live-tweeting (see list here - our class meets on Monday, 1/28, from 1-4pm CST), particularly since we'll be talking via skype with Charlotte Noble, a PhD student at USF who created the This Is Anthropology prezi and is also behind the new AAA initiative This Is Anthropology. Discussion Topic: Many academics are wary of social media, viewing it as simply a way of sharing pictures of your latest brunch or bragging about your Plants vs. Zombies score. Yet with millions of people who are potentially your audience available at the end of Facebook, Twitter, and G+, it is important to understand the ways that academics and the public are using social media to connect with one another and to share interesting information. Over the next two weeks, we will discuss the charge laid down by archaeologist Jeremy Sabloff, namely that there are no public anthropologists in the way there are go-to experts in economics, astronomy, and biology, and integrate within that discussion ways to respond to a public often ignorant of anthropology, as exemplified by Florida Governor Rick Scott. Social media is, at its core, about becoming involved in a conversation rather than being a one-way producer of information, and its largely online format means that even the most introverted among us can find a place to be public and active anthropologists. Dawkins, R. 1976. Memes: the new replicators. In: The Selfish Gene, Ch. 11. Oxford University Press. Noble, C. 2012. Visualizing anthropology: Florida and beyond. Anthropologies 10. Noble, C. 2011. Promoting anthropology with Prezi. Document available at Academia.edu. Price, D.H. 2010. 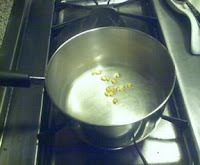 Blogging anthropology: Savage Minds, Zero Anthropology, and AAA blogs. American Anthropologist 112(1):140-8. Sabloff, J. 1998. Communication and the future of American archaeology. American Anthropologist 100(4):869-875. Shema, H., J. Bar-Ilan, and M. Thelwall. 2012. Research blogs and the discussion of scholarly information. PLoS One 7(5):e35869. Sabloff, J. 2010. 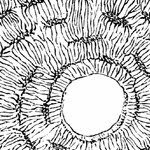 "The Circulation of Ideas: Anthropology and Public Outreach." AAA Distinguished Lecture. Hawks, J. 2012. Best practices and tips for Twitter in the higher-ed classroom. Blog post at John Hawks Weblog. Impact of Social Science Blog: "Blogging is, quite simply, one of the most important things that an academic should be doing right now." Killgrove, K. 2011. Why is anthropology needed? PoweredByOsteons.org. Perlmutter, D.D. 2012. Your unofficial job-application checklist. Chronicle of Higher Education. Anderson, R. 2012. Publishing without perishing: Sharing ideas and challenging the closed system of academic anthropology. Conference paper online at Academia.edu. Noble, C. 2011. This is anthropology. USF graduate student Prezi. AAA blog and AAA on HuffPo (Do you want to write a post for AAA HuffPo?) and new AAA "This Is Anthropology"